It’s Spring in the Kitchen! 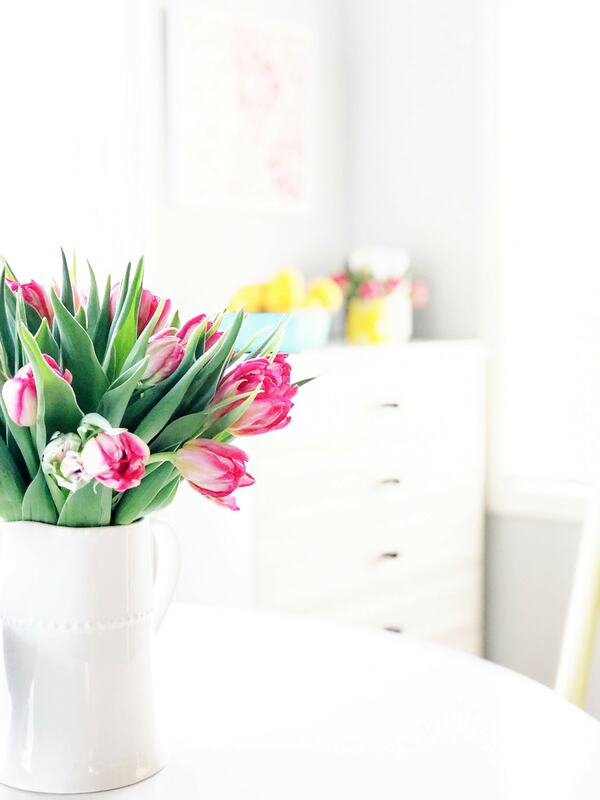 Simple and pretty ideas to add some cheer and sunshine to your kitchen this spring! Welcome to spring in my kitchen, I’m so excited that you are here to visit! If you are new here and are visiting from one of the other tours this week, my name is Jo-Anna and I welcome you to my site! 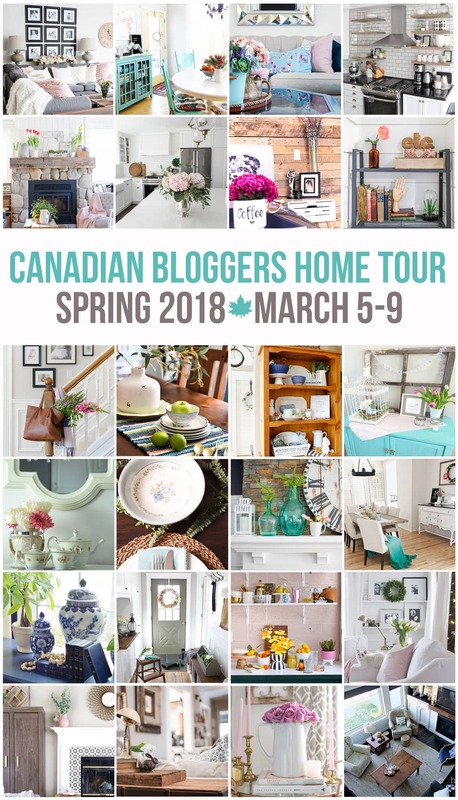 My spring kitchen tour is 1 of 24 Canadian Spring Home Tours hosted by the lovely Shannon of Home Made Lovely and Christina of The DIY Mommy! 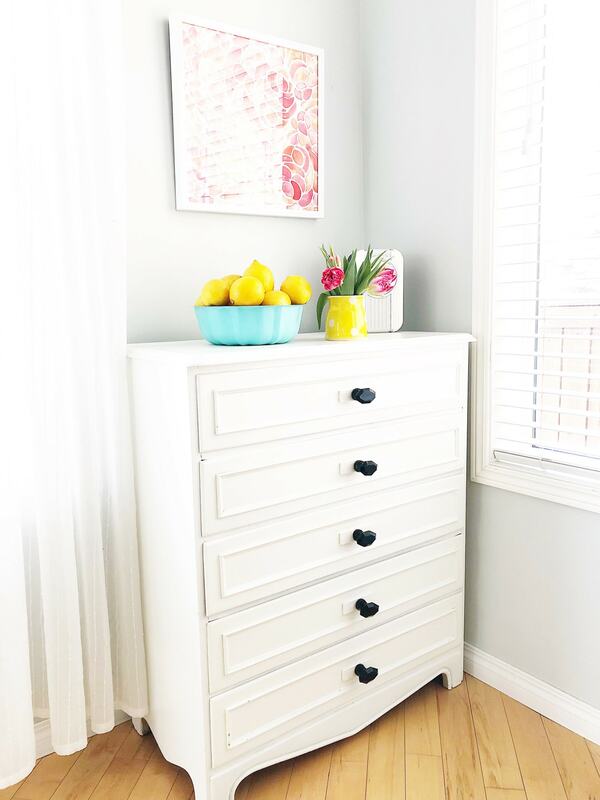 Over the course of the upcoming week, you can visit 24 homes with cheerful spring decorating inspiration…I hope you can take a moment to take a tour of everyones homes…the links are all at bottom of this post. Today is my day to share, and I’m really happy to have you here! 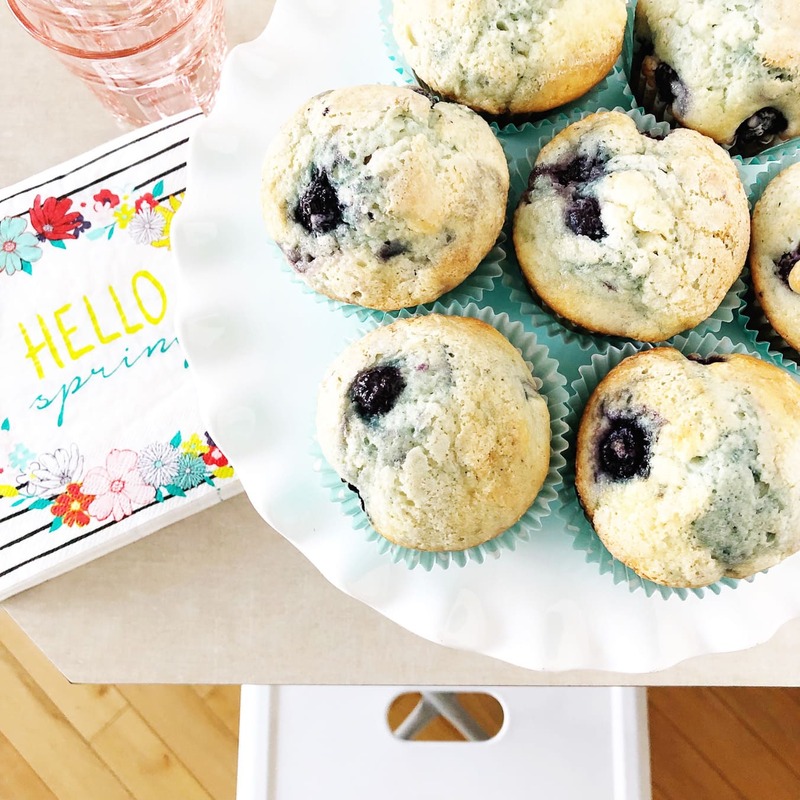 Come on into my kitchen…it’s spring here. 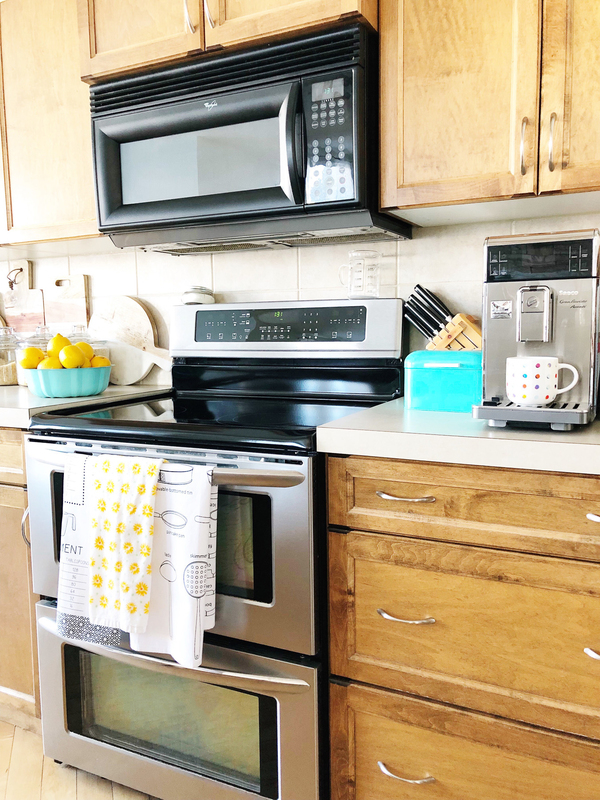 This year for my blog spring home tour I decided to focus on just one room in my home…the kitchen. 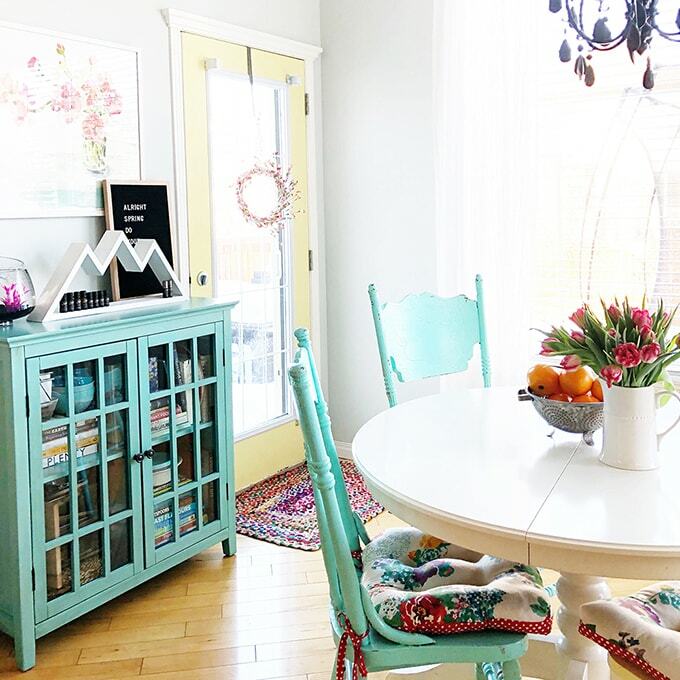 The kitchen and eating nook are actually the most colourful rooms in our house, so decorating here for spring is really fun! For some reason, I find adding colour to this space really easy, unlike the rest of the house. I wish I could embrace colour in my whole home as easily as I do in my kitchen. Slowly but surely, I’m getting there…bits of colour are find their way all over my house. 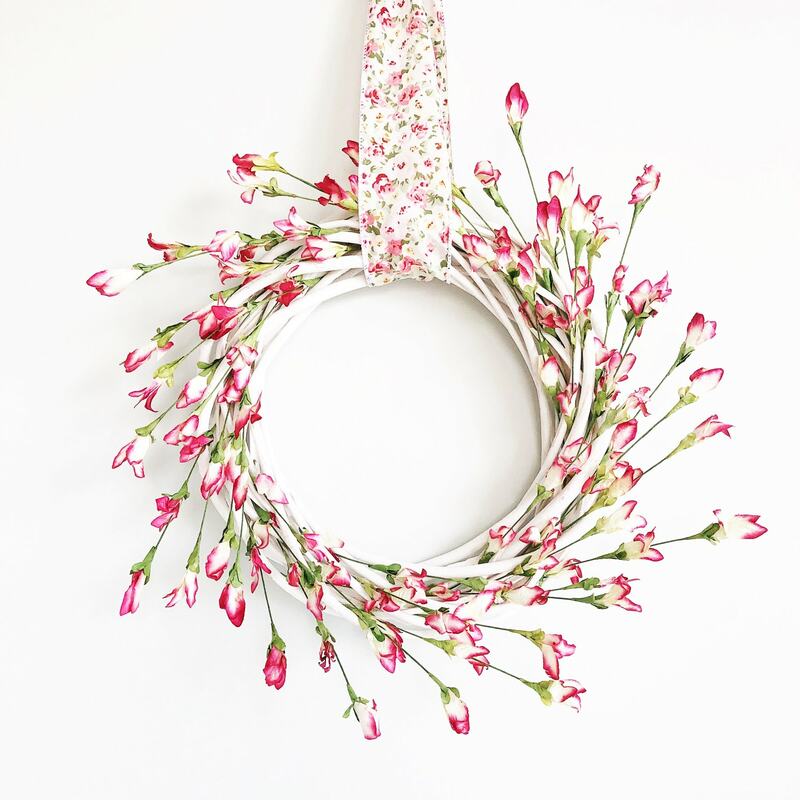 I started my spring decorating with this Simple and Pretty Spring Wreath that I made and shared here last week. Initially I had it hung over my kitchen linen chest of drawers, but decided instead to hang it on our patio door…I love it here. I added a few new things to this space, but not much. 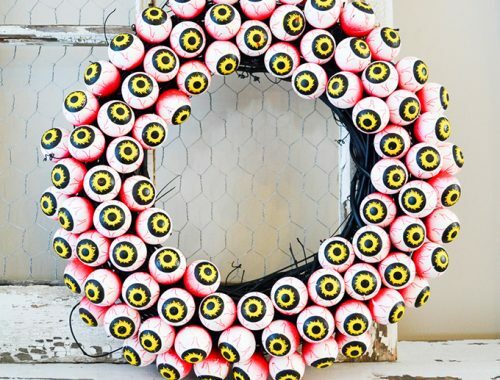 As much as I can, I try to ‘shop’ around my home when I’m decorating. And things are pretty colourful in here already with the recipe book cabinet and chairs. 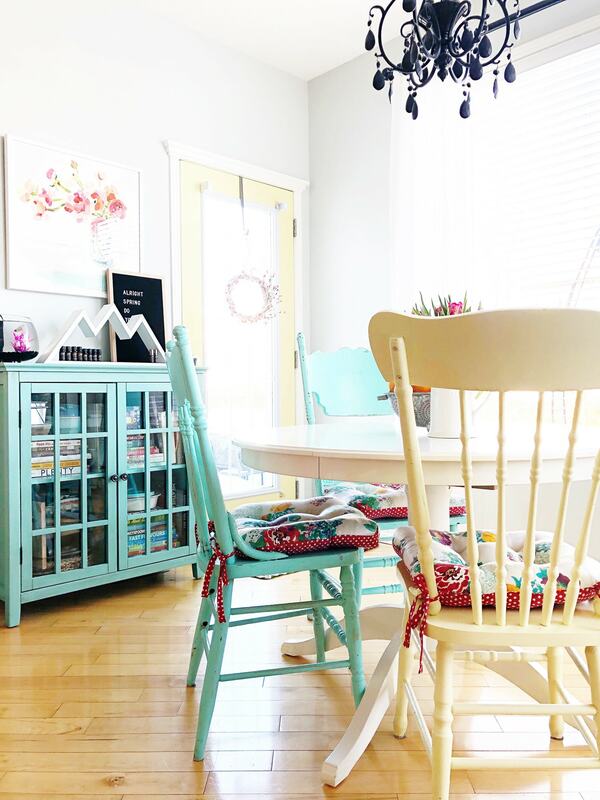 But I did buy some new pretty chair cushions at Walmart (they’re from the Pioneer Woman line)…on a side note, have you been to Walmart here in Canada lately? It’s looking a lot like Target and I like it! 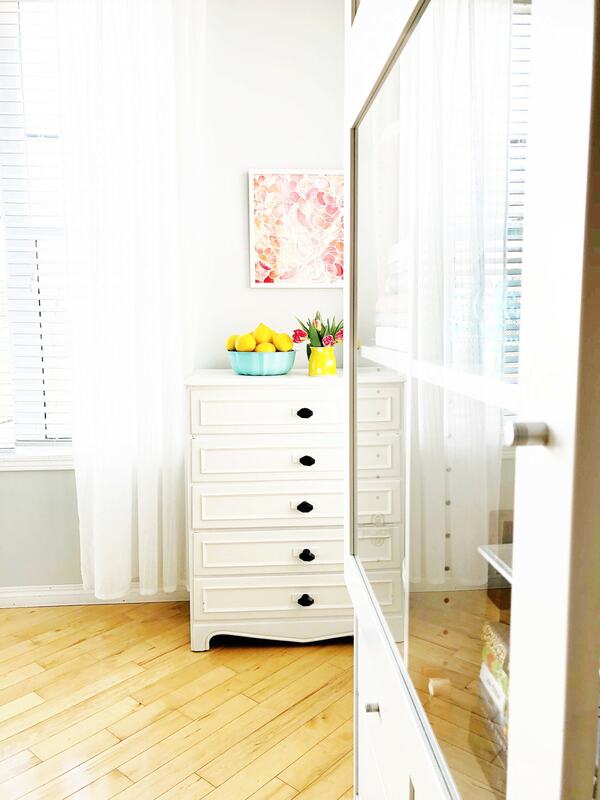 I also switched out the art in this space and hung up all my spring pieces that I got from Minted last year. I like how cheery they are in here. They’re like windows into spring outside, even though we still have over 2 feet of snow, but we’ll just ignore that fact mmmmkay. And isn’t this little mountain shelf so cute? I got it from Timber Grove Studios based out of Moncton New Brunswick, and use it to store my essential oils. It’s so pretty and I like having easy access to all my oils that I use every day. I love the pop of white against my cabinet. 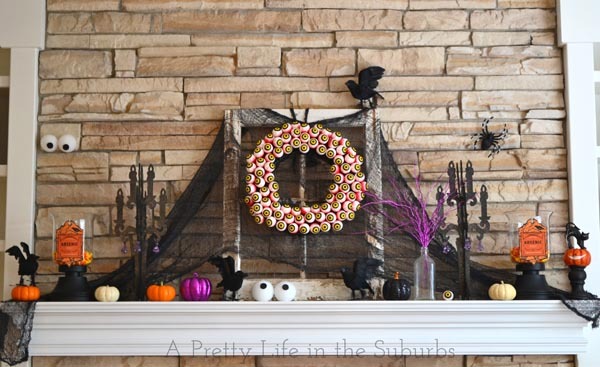 But my biggest decoration addition are flowers…I buy loads of tulips this time of year. Having bouquets of tulips around just makes me happy. And honestly, flowers are the best kind of home decoration. Cheap and cheerful. And in my eating nook, I decorated my linen drawer with some lemons in a turquoise Bundt pan, more tulips, and hung more cheery art. It’s spring all over. I love this little view when I look over from my stove. It’s sunny and pretty and makes me happy. It’s the little things. 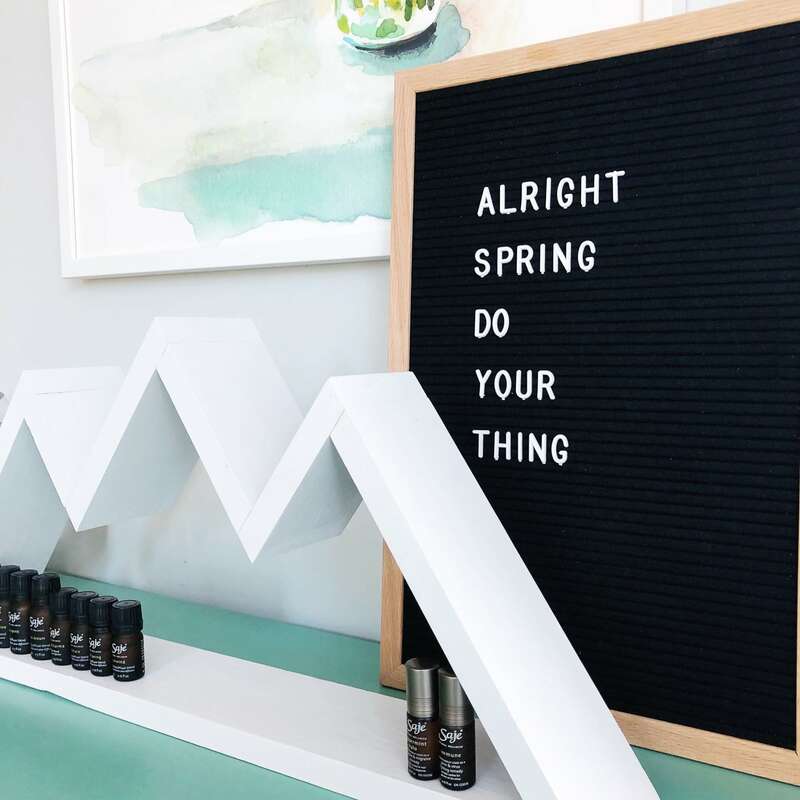 I even added some spring touches to my counters…not a lot, but just enough, sometimes less is more. I love the pops of yellow and turquoise in here. While I was cleaning things up for my spring tour, I also took the time to organize and tidy my kitchen space. I got busy organizing drawers, my pantry, cupboards and countertops. Even that was enough to make it feel like spring in here. 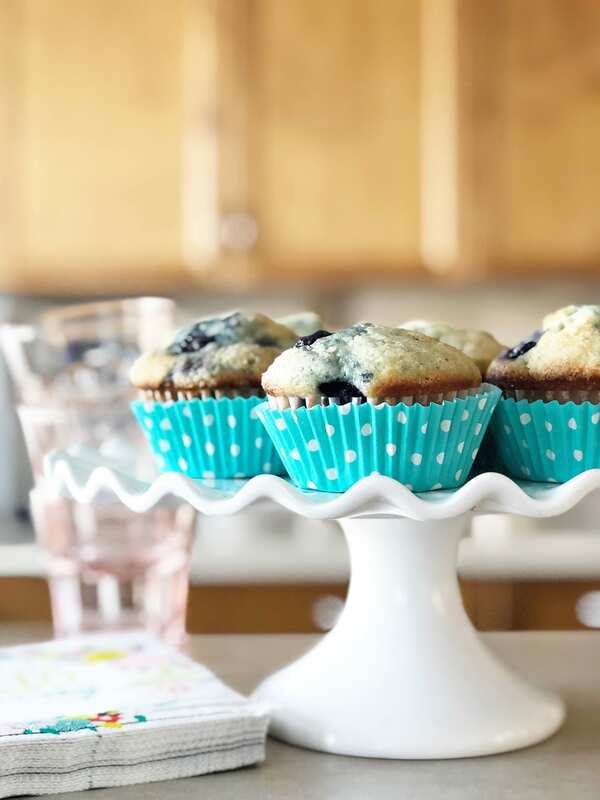 And while you’re here…let’s sit down with some tea and a blueberry buttermilk muffin…we made them just for you. 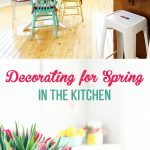 Thank you so much for taking a tour of my spring kitchen! 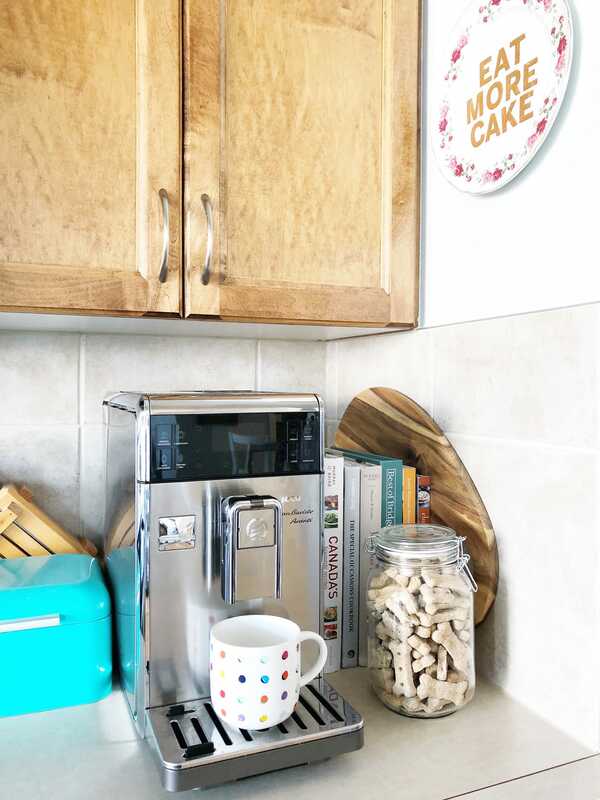 I hope you feel inspired to add some cheer to your kitchen space! 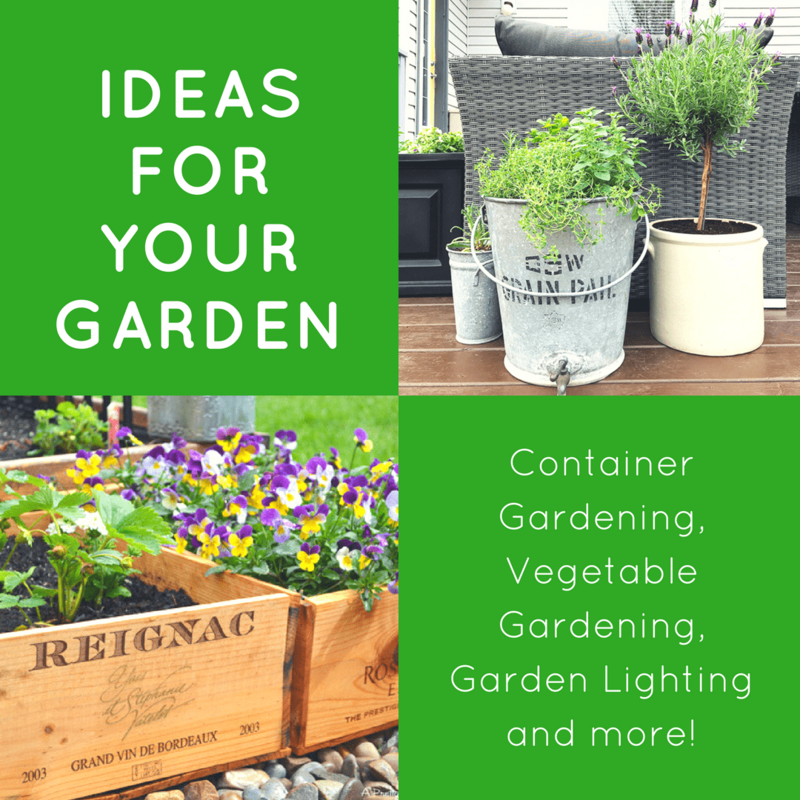 Go on a Spring Home Tour! Oh so pretty! I love all your bright & happy colours! 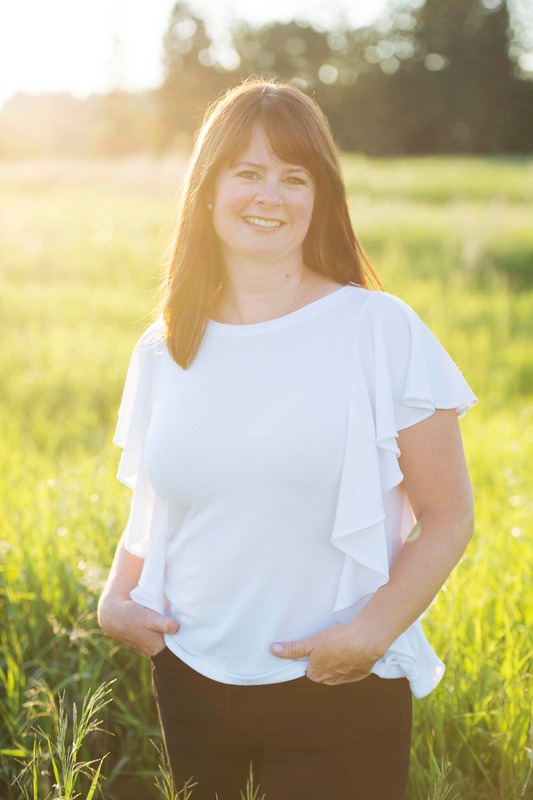 Thank you Courtenay…I’m really embracing colour! And isn’t Walmart a nice surprise?! I love the fresh bright colours! I have those napkins too! Thank you Darlene! And I couldn’t resist those napkins when I saw them!! 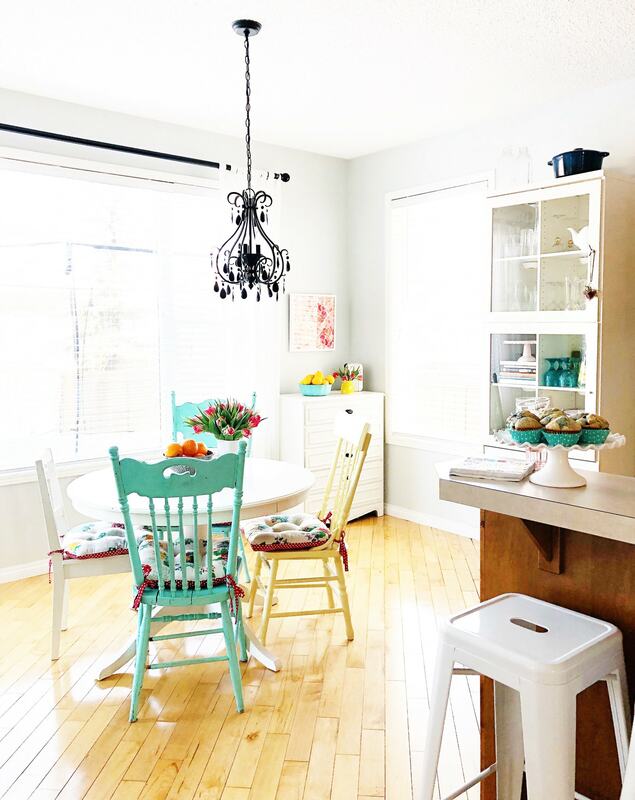 Love, love the colors you are using in your kitchen! 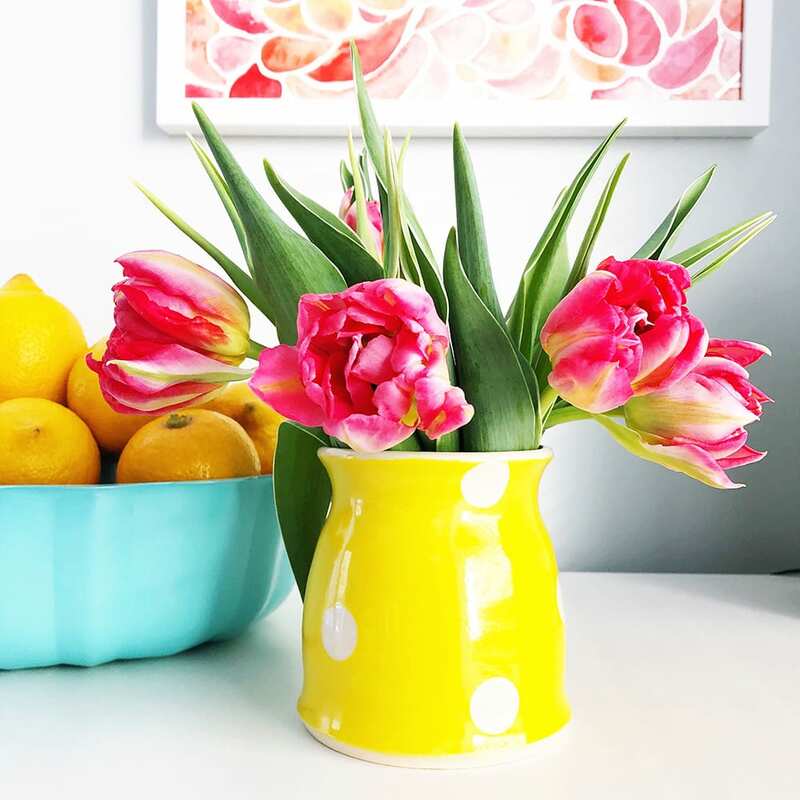 We have aqua and pink in our kitchen too but I love the way you’ve added yellow to the mix. It’s all very pretty and springy. Thank you Stacey! This group amazes me too! Thank you Dannyelle! And I hope the snow goes soon too…I’m looking forward to green grass and flowers! What a cheerful space! 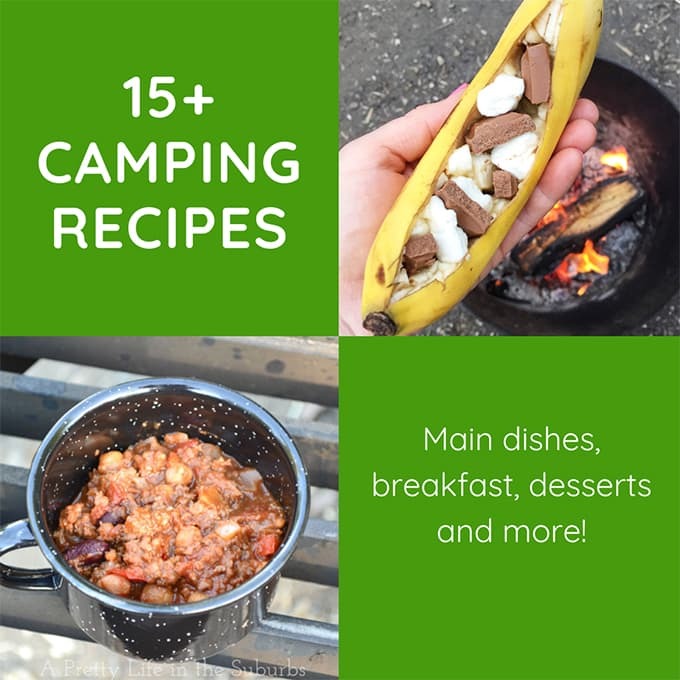 You must love your kitchen! 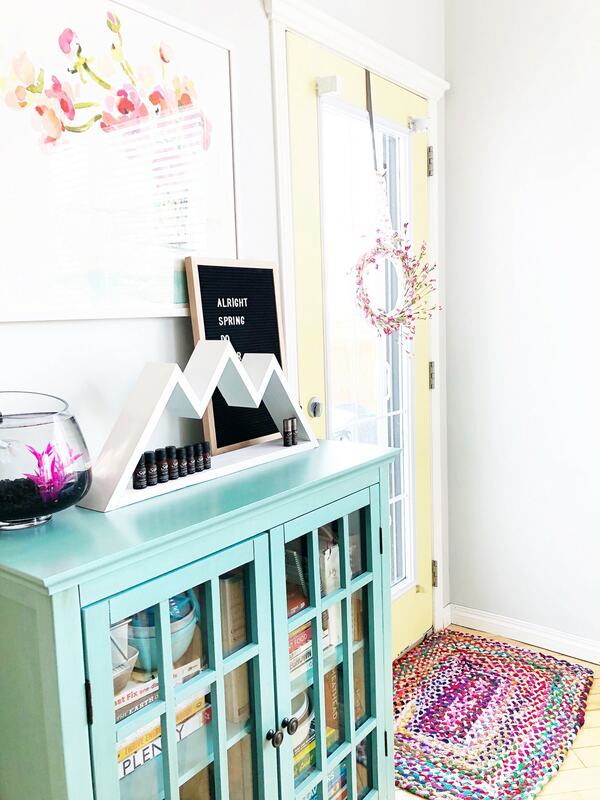 Oh I just love how colourful this space is, and that mountain shelf – the cutest spot for all your essential oils!!! Love it! Thank you Thalita! I’ve realized that I need colour to survive hahaha! Beautiful Jo-Anna! I love all of the colors and your new chair cushions. 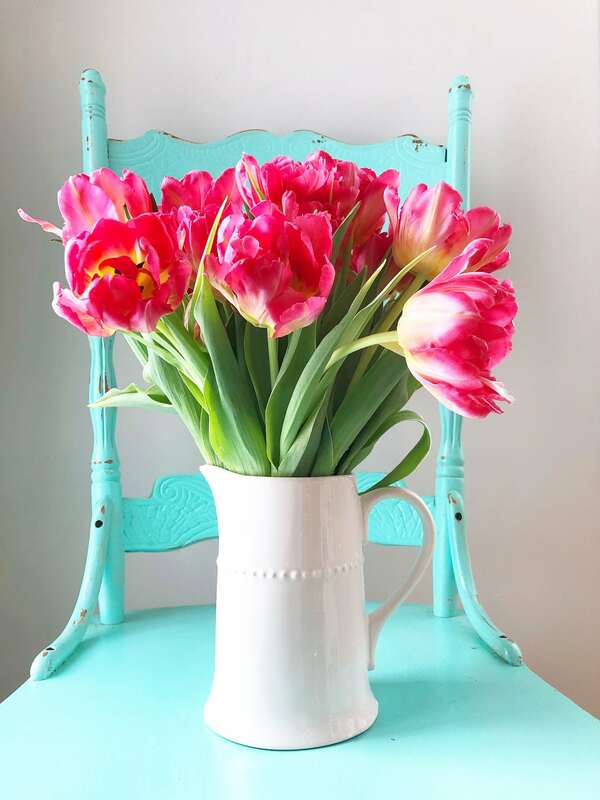 I’m a huge tulip lover too – I can’t get enough! Thank you Jenn! Tulips get me through winter!! Happy Spring to you! So pretty, Jo-Anna! I love your chairs and your new chair cushions. I’m loving our Canadian Walmart lately too, so many stuff like Target. Thank you Jamie! Who would have ever thought that Walmart could feel a bit like Target…I hope they’re on to something! Thank you Ariel! You just can’t go wrong with flowers everywhere! Beautiful tour Jo-Anna, Loving all the bright beautiful colour! I love all your cheery pops of bright spring colour, Jo-Anna! Those chairs get me every time! Thank you Krista! I’m on a mission to find a few more chairs for this table…surprisingly they’re not easy to find here! I love the brightness of your kitchen and the pops of yellow. What colour paint is that on your door and chair. I am looking for a nice yellow to add to a room and that looks perfect! simple and pretty decoration, with taste.